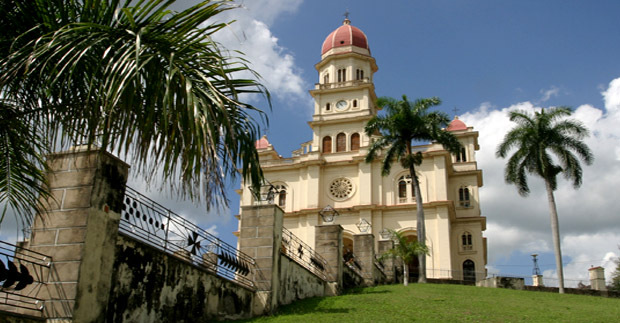 Dotted with a heroic revolutionary past, and located in a beautiful setting overlooking a bay at the foothill of the Sierra Maestra mountains, Santiago de Cuba, the country's second city, is a real pleasure to explore. Boasting a heavy history, this town is a testament of the Cuban traditional lifestyle, rocked to the rhythms of music, and of the political revolution of the country. Santiago was founded by the Spanish in 1514, and was Cuba's capital between 1524 and 1549, as well as a hub for the island's slave trade in the 18th and 19th centuries. Today, Santiago is known by Cubans as the "Hero City" and considered as a bastion of nationalism, as the revolution originated in the city on July 26, 1953. It was also in Santiago that Fidel Castro accepted the surrender of Batista's army in 1959. Particular sites of interest are the Santa Ifigenia cemetery, the Historic Mueseum 26 de Julio (former Moncada Barracks), and the Granjita Siboney. These all are places indissolubly and absolutely linked to the history of Cuba. Santiago also treasures the first open-sky copper mine in the American continent (El Cobre) and the first museum in the country (Emilio Bacardi). The Castillo de San Pedro de la Roca (El Morro), the Basilica del Cobre where tribute is paid to the Virgin of the Charity of Copper (Virgen de la Caridad del Cobre, Patron Saint of Cuba), Cayo Granma in the center of the Bay, and the Baconao Park (Biosphere Reserve) all make for great excursions. This latter stretches from the city borders 50 Km of beaches, lakes, and mountain elevations, among which La Gran Piedra and the ruins of French coffee plantations are highlights. Besides the important and unique Festival of the Caribbean (Festival del Caribe), there are other remarkable cultural activities such as the Aquatic Carnival (Carnaval Acuatico) and the so famous Santiago Carnivals (Carnavales Santiagueros). This popular celebration is included within the three most ancient cultural events of the island. Particularly, the "Conga santiaguera" is an unforgettable show, either when it bustles along Trocha street or Enramada street. In Santiago, you can visit the Museum of the Carnival, featuring the history and most fascinating objects of these celebrations. Strolling the streets of Santiago, the revolutionary past of the city is prominent as throughout the city, signs of the revolutionary fervor are still visible in the multitude of slogans and murals covering the buildings. As you enter the city, a gigantic board welcomes you proclaiming: "Rebelde Ayer, Hospitalaria Hoy, Heroico Siempre" (Rebellious Yesterday, Hospitable Today, Heroic For Ever). The atmosphere of the city is filled with this glorious past just as its streets, with an intangible sense of pride and unity that you will find nowhere else in the country. Santiago was the seat of the revolution from the beginning, with Castro's failed attack on the Moncada Barrakcs in 1953 which led to the founding of the 26th July Movement. Santiago was also the place of an uprising led by Frank Pais which took place in November 1956, only days before Castro and his companeros landed at Las Coloradas aboard the Granma. Finally, it was from the balcony of the city's town hall that Castro announced the success of the Revolution in 1959.